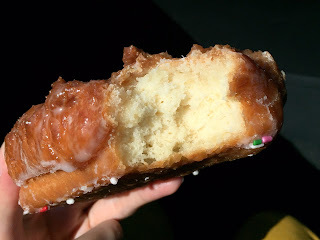 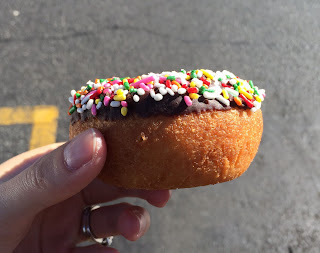 We went to Randy's Donuts in November, 2015 for the second time, and I got 2 kinds of donuts. Chocolate frosting covered with colorful sprinkles. 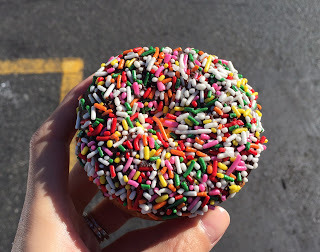 The frosting and sprinkles were only the top, and the rest was just a plain (but with subtle nutmeg flavored) cake donut. I forgot that I had tried this last time and bought this one again. 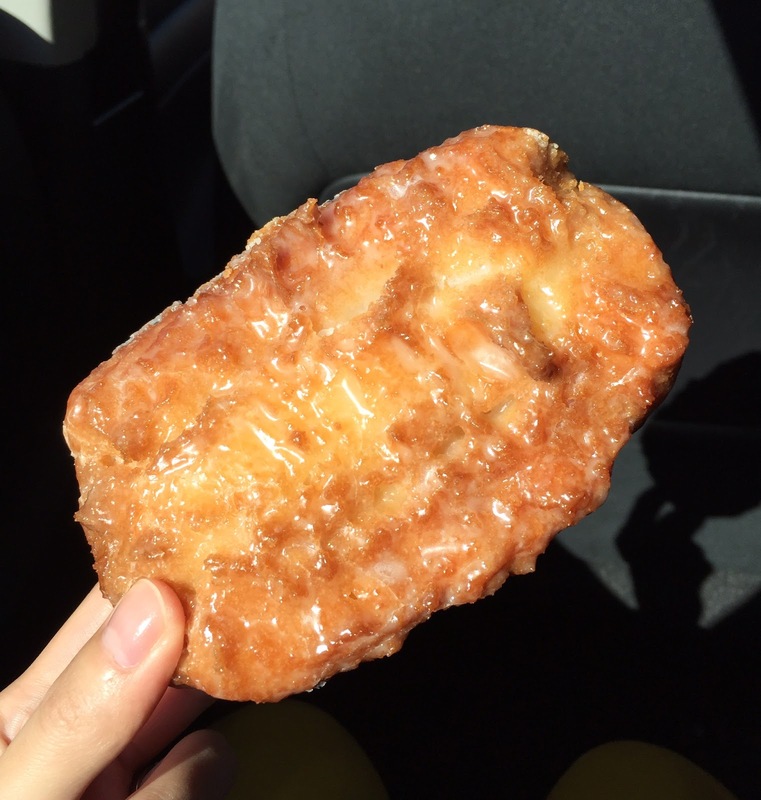 Same as the first time, it's heavy and dense, and I noticed some pieces in the batter that I didn't even sense before. 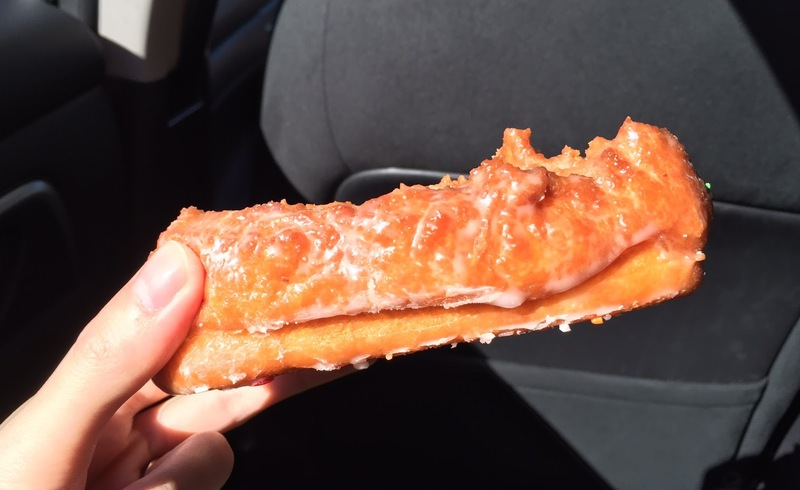 Like last time, I saw some policemen came out out of the police car to buy donuts and coffee.